Micron ECO filters embody the latest in fibreglass winding technology. Micron fibreglass vessels consist of an inner shell of fibreglass reinforced with multiple layers of continuous strands of fibreglass filaments. 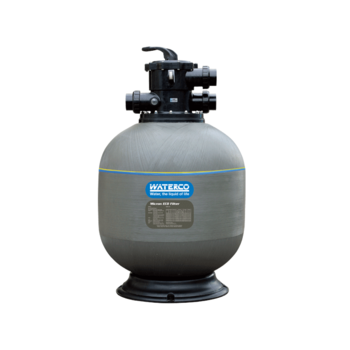 The Micron ECO operates on the basis of “Depth Filtration”; dirt is driven through the filter bed and trapped in minute spaces between the particles of filter media allowing the cleansed water to pass through the filter’s laterals and exit via the filter’s Multiport valve.